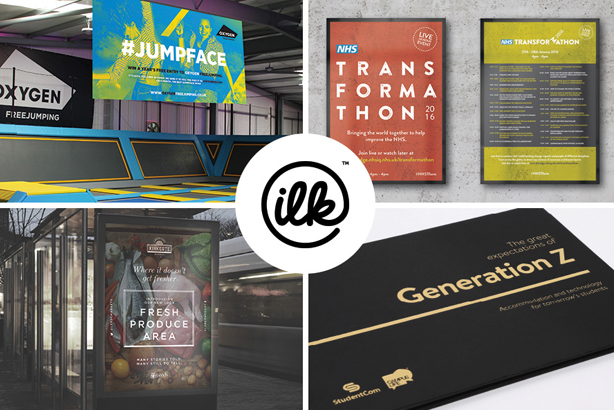 Integrated agency ilk has secured nine accounts during the past month following its split from sister agency Manifest. The agency said it had secured retainers with Movember-themed running events organiser Mo Running, recruitment firm JAM, trampoline park owner Oxygen Freejumping and facilities manager MML. It has also brought in project work with the NHS, Lotherton Hall, CableCom, StudentCom and Mobile Logistics. Previously known as Manifest, ilk was founded in 1999, and owners Nev Ridley and Shaun Beaumont later invested in a new agency founded by Alex Myers, allowing Myers to use the same name for his agency, Manifest London. Myers has now taken control of Manifest London, having previously owned 51 per cent of the company, and the Leeds and Manchester business has rebranded to ilk, opening a London office yesterday (Monday). Ilk said its total new business over the past three months including two other, earlier wins – Leeds-based Kirkgate Market and animal protection charity FOUR PAWS – would be worth £400,000 for the agency. Ridley, ilk's MD, said: "We’re absolutely delighted with our continued success across the North and feel these account wins really demonstrate our ability as one of the UK’s leading integrated agencies... these wins provide us with an ideal platform to showcase the direction the business has taken."